To celebrate American Independence Day, I drew a sketch of a fairy (inspired by a vintage postcard). 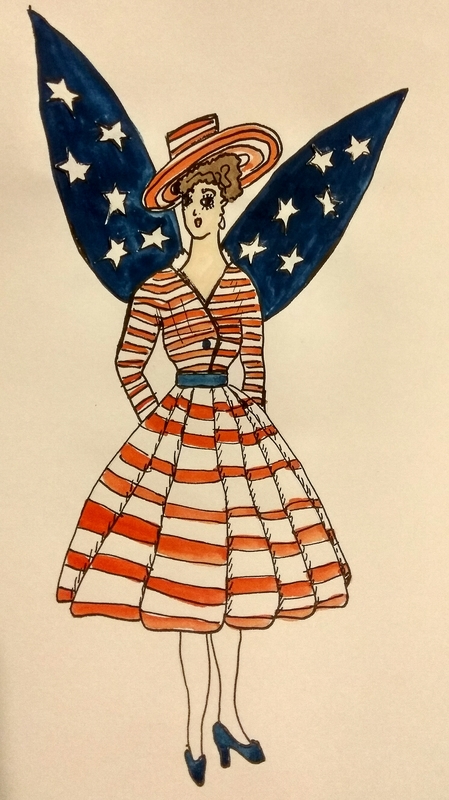 I painted the dress and wings in the colours of the American flag in watercolour before adding the black details in fineliner. There are two birthdays today, close to my heart, so I will create themed fairies later in the week – watch this space!